Good news to all lovely Mobijuce’s facebook fans!!! Get a “Beauty Mail Skincare” gift set for free which worth for HKD$250 (20 sets in total)! 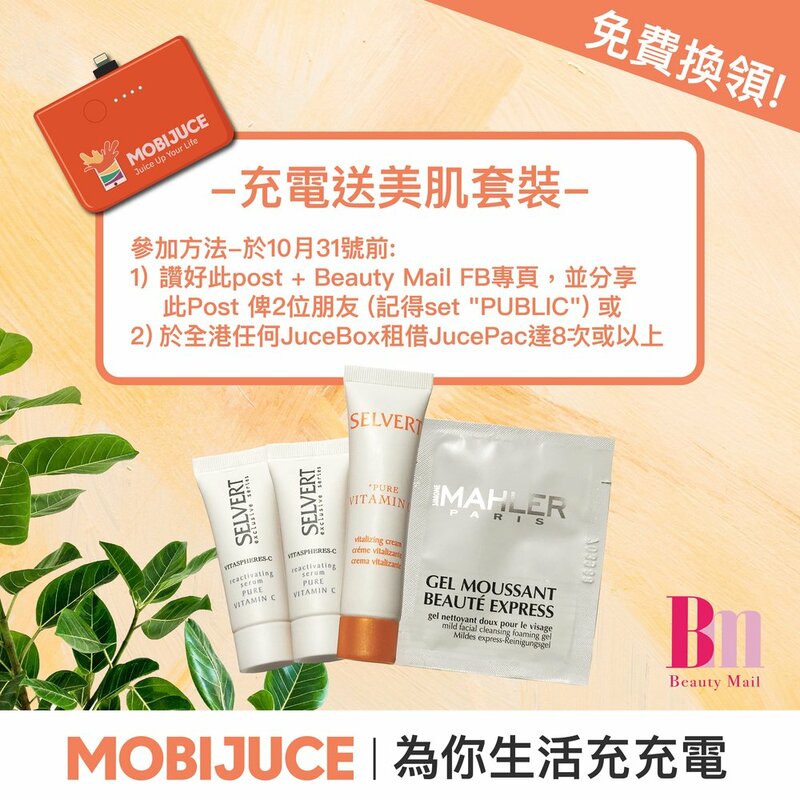 Beauty Mail X MobiJuce take care for both of your skin and phone at all matters! *Each Mobijuce member can redeem the gift once only. *Quotas apply and redemption is available on a first c ome, first served basis while stocks last. *Terms and Conditions apply, MobiJuce reserves the right.